Right At Home-Charleston is dedicated to serve the seniors of the greater Charleston, South Carolina community and supported by a nationally recognized leader in providing in home care services. 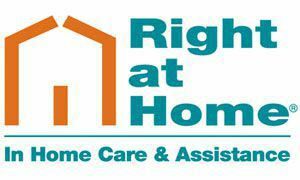 Whether a family member needs a little extra help around the house, assistance recovering from a hospital stay or someone to check in on them throughout the week, Right At Home’s in home care could be the answer. Our at home elder care services are built around your specific needs, budget, and goals. Our private duty caregivers, most Certified Nurse Assistants (CNA), go through an extensive interview process. Each must pass a national background check, are insured and employees of Right At Home-Charleston. Right At Home-Charleston always provides a no-charge care assessment by our professional staff and shares the findings of that assessment with the senior, his or her family and any pertinent healthcare professionals.